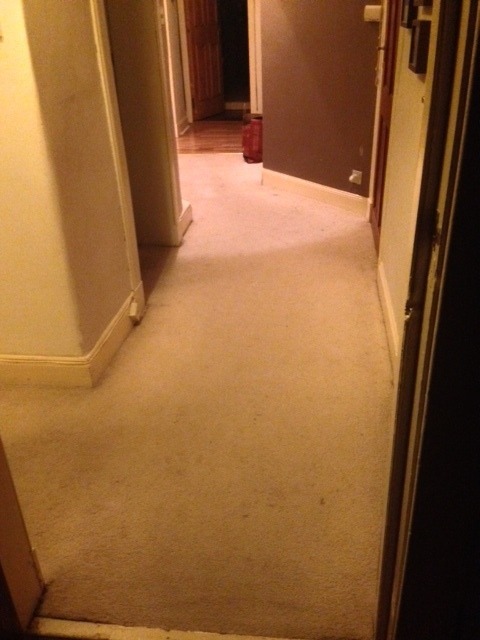 Hallway Carpet to be fitted along with new underlay. Hallway about 5m long and 1m wide. It has an angle in it and goes round the corner for a bout another 2m. Doesn't "need" to be laid in one piece but would appreciate effort to hide the join in as good a spot as possible. Carpet and underlay arrive on Sat 2nd Nov. Need carpet grippers though. Replaces existing carpet laid on wood upon concrete. Bonus if old carpet could be taken away but in no way essential. Great Job. 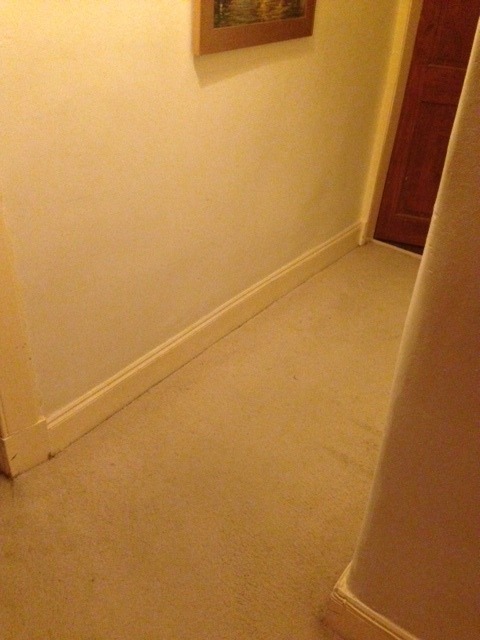 Fitted out hallway carpet (which has a few twists and turns in it) without bother and at the price agreed which was also the guestimate price given on the phone. Very happy.